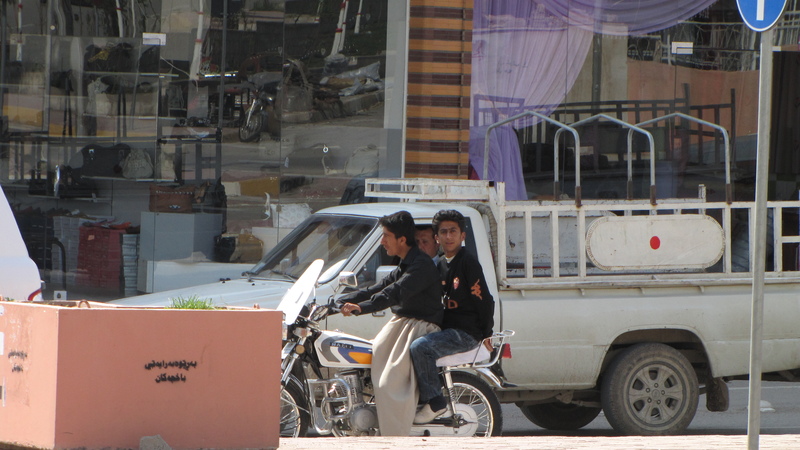 In current day Kurdistan divorced women have as many limitations as unmarried girls, sometimes even more. The family, friends, neighbours and generally the entire society around them sees a divorced woman as a fallen woman, a failure. That it often takes lots of courage and perseverance to take the step towards divorce is glossed over. That’s why some unhappily married Kurdish women take a different road. They stay married to the man they’re not happy with and keep a lover on the side. Exactly what Kurdish men do as well, funny enough creating a kind of equality between the sexes in this field. When I ask a graduated management student out of the blue if he has a relationship with a married woman he gives me a startled look and I know I’m right. He carefully looks to his left and to his right to make sure no one listens in on our conversation. We’re on the roof terrace of a five star hotel in Sulaimaniya that gives us a view on the whole city. It’s still early evening and apart from a couple that sits in the far corner we’re the only visitors. At the moment there are more waiters than visitors, but it won’t take long before all the seats are taken. In Kurdistan, like in other warm countries, people eat dinner around 10 pm. The young cab driver who takes me home doesn’t want to accept money, but after some hesitation asks if he can see me again. Up until that point “being married” had been my way of saving myself from men who wanted to get closer to me than I was comfortable with, but this time I didn’t play that card. I realized “being married” could even be an invitation for him, so instead I remained silent. I did however remove my smile and put on a serious face. I thanked him for the ride and carefully put three thousand dinar bills on his palm, with which he was offering me his business card, and left.